(Better than) Par for the Course! 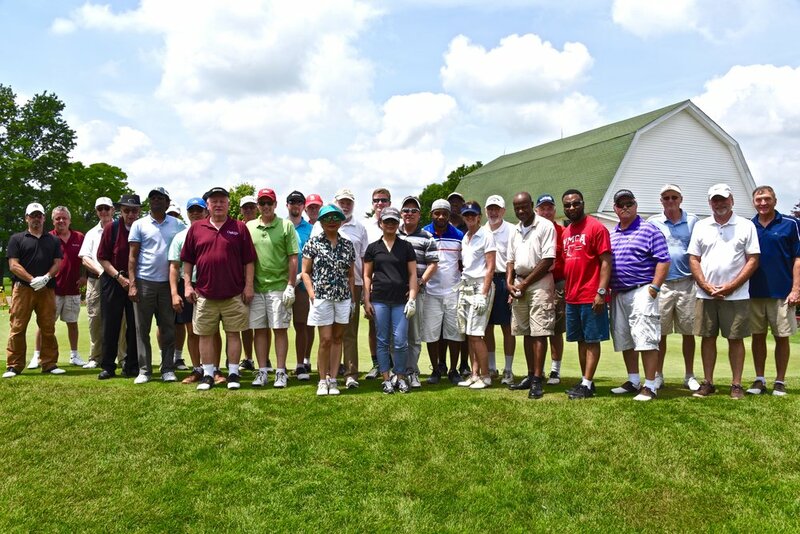 ABCNJ 3rd Annual Golf Classic a "Swingin'" Success! On a beautiful summer day - crisp blue sky, warm 90 degrees, slight breeze, but low humidity - a company of golfers trooped to the greens and fairways of the Lakewood Country Club, enthusiastically wielding their golf clubs, to play the sport that they love and at the same time participate in this annual fundraising event of ABCNJ that benefits the Baptist Camp Lebanon. Buoyed by the generosity of two major event sponsors - NextGen Church and Sovereign Insurance, Co. - four hole sponsors and donors, 33 players registered to show and play on the links. Don Smith, director of Camp Lebanon, participated in the event himself. He addressed the players after the game at the dinner reception and awarding of prizes, and expressed his profound gratitude for their support and generosity. The group was inspired by Don's presentation of some of what Camp Lebanon does in its ministry, of how the lives of many young people - especially young people - have been transformed for a lifetime because of their experience at Camp. A first for this year is that one of our ABCNJ local churches committed to be an event sponsor ($1,000+)! We are grateful to Rev. Dr. Mia Chang, senior pastor of NextGen, and her husband Steven Ku. Not only are we so grateful for their selfless generosity, but for setting an example for the entire churches of ABCNJ. It will be awesome if our churches commit to a year and be an event sponsor! Not only did NextGen commit to be an event sponsor this year, they also registered and sent two foursomes to play! And in another tiwst of creativity, the two foursomes were all parent-child teams! The featured photo in this article shows the kind of fun NextGen had! Our friendly competition is not without consequence! Our golf event awards special prizes and trophies to the top three foursomes. This year, our first place winners are Ray Gotta (from FBC New Brunswick, Rev. Dr. Luciano Marquez, senior pastor and Rev. Dr. John Hayward, pastor emeritus), Ken Davis, Curt Johns, and Jim Childs (from Central Baptist Church of Palmyra, Rev. Wes Allen, senior pastor). 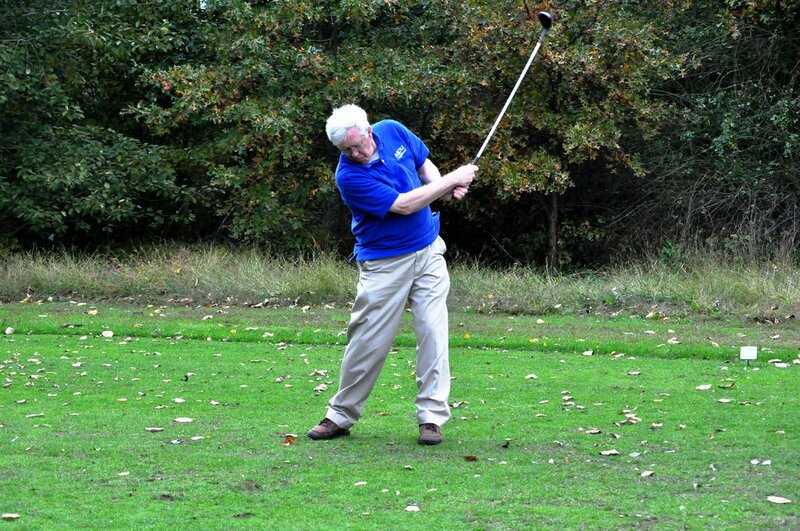 To see all the photos of the event, click on the following link: ABCNJ 3rd Annual Golf Classic. Be part of a great cause and join us next year! Take A Swing For Missions! We are proud to announce the ABCNJ 3rd Annual Golf Classic which will be held at Lakewood Country Club on Saturday, June 1, 2013. All proceeds of this fundraiser will go to the support of ABCNJ's camping ministry in Camp Lebanon. Where else can you have fun, fellowship and good food and still play the sport that you love (or plan to love), and be doing missions at the same time? To participate, click on the links below and you can register online with ease, or register by downloading a form to fill out and mail. There are more than one way to support this event. You can register and play, sponsor a player, donate a prize for one of the top three teams, donate an auction item, or sponsor a hole. Share the word with your neighbor and friends and encourage them to participate. See you at the links! 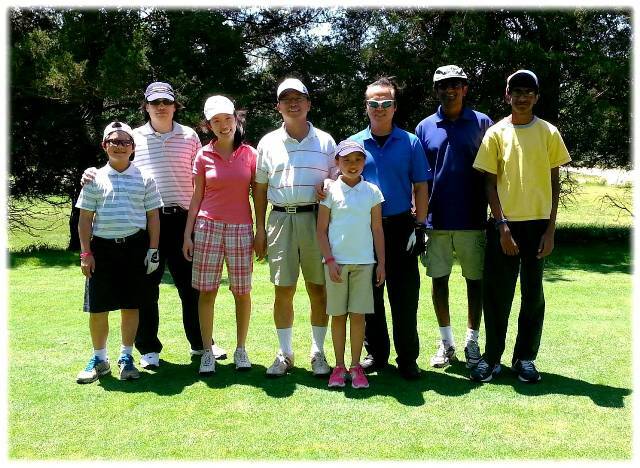 After the 2011 fiscal year reports were closed, we now have the final financial summary of the inaugural ABCNJ Golf Fundraiser held last October 22, 2011. After paying all expenses, the event raised a net total of $8,095.13 for ABCNJ's New Church Development (NCD) program! What a joy! We are so grateful to our title sponsor, the Sovereign Insurance Group. We also are thankful to our hole sponsors: John S. Pavlovsky, Jr., Moore Funeral Homes, Fox Lumber, Van Doren Oil, Co., Christ Congregation of Princeton, Rev. Vernl & Corrine Matson, and Rev. Tom McNally. And last but not the least, we also thank the 36 players who came from all point of the ABCNJ compass and participated and gave of themselves generously to this worthy cause. It was, indeed, a great day of fun and fellowship which was exceeded only by the thought that we were doing so while supporting the ministry of ABCNJ! We look forward to this year's event with greater enthusiasm, and the expectation of a bigger turnout that will make that much more of a bigger impact on the ministries and programs of ABCNJ. This year's golf fundraiser will be held on Saturday, October 13, 2012. Save the date now and spread the word!